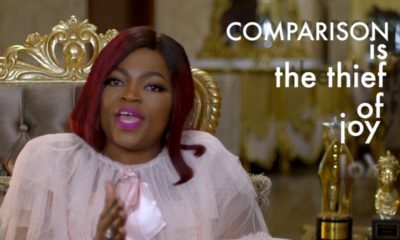 Toke Makinwa is out with a new vlog! 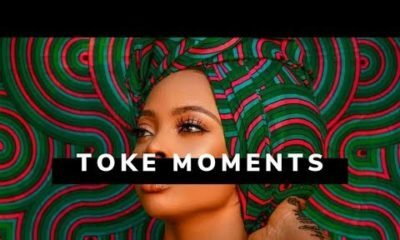 On this week’s episode of Toke Moments, Toke is in gist mode and the topic is Ciara/Russell/Future/BabyFuture. Toke leave this Ciara issue alone. The person that will put Maje to shame will soon come around. I know that because my visionary mind has shown me. Ciara has issues and it is clear. I remember when she started with Future, all the warning, she refused to listen and then what happened, that we all knew was going to happen, happened. They said she was controlling with Future. Future said in an interview you can find on Google or YouTube, that Ciara did not want him to shoot a video for his collabo with Rihanna and he couldn’t go against GF. I am not in their lives now but who knows what is up between Ciara and Russell. Ciara, unfortunately still loves Future (as it seems). It is time to stop acting like Russell is some hero for saving Ciara and Baby Future. I don’t know which mother will feel good if her child calls another woman ‘mummy’. The double standard is just too much. Future may be a bad person but Ciara is no saint and Russell is no saviour. u are the first woman on bellanaija to be fair and unbiased on a topic. I applaud u.
ciara and Russell’s marriage wouldn’t last. mark my words. I don’t believe Ciara still loves Future at all. What I think is, she’s trying to get back at him maybe she feels hurt by certain things he said or did to her. I swear, two scorpios love each other hard and hate hard too. Toke and Michael Jackson….. twins. I don’t hate her o. I quite like the girl, before somebody calls me a hater. She needs to go easy on the makeup though. Why should she ease up on the make-up? She is her make-up. Her make-up made her famous and brought her to where she is now. Everyday instagram posts of her make-up got her, her millions of followers. Its not like you listen to her radio show or did you forget she had one?!! (lol) Her sponsors are skin, hair and make-up companies and you’re here saying she should drop the things that pay her bills. Girl you cannot be serious!!! 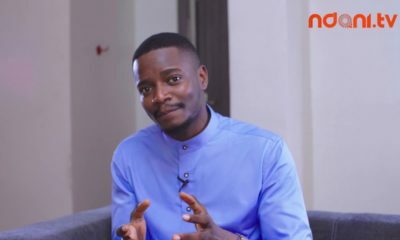 Go and read well about Russell and you will know he’s got great upbringing,coming to write Nonesense because it was Toke that praised him,only expose your stupidity,Russell was a church band member from ten.Why bring up majes talk?crying more than the bereaved. Aunty you cannot be serious o! Because it is Toke that wrote it? How does that even make sense to you. If you are trying to say I don’t like Toke, then thats your issue, check previous posts and you will see how I am a fan of Toke. Russell being brought up in the church makes him no saviour. I have seen people that have slept in the church all their lives still do the most terrible things. I don’t know why you want to compare growing up in the church with complete purity. By the way I did not accuse Russell of anything. I just said he is no saviour. What is now paining you? Well, his ex wife cheated on him. Honestly, Russell seems like a decent dude. And future said it himself he wants someone to accept him and not try to change him. And sometimes Ciara will tell him don’t post certain pics or do certain thing because it will be a bad reflection on her. Future does drugs, smokes and lives a care free life. Ciara found a man that fits what she’s probably trying to change Future into. I hope their marriage works out. Toke Welldone,you are the epitome of grace under pressure.Life is too short to care about negative lots. Continue feeling it ehnnn. 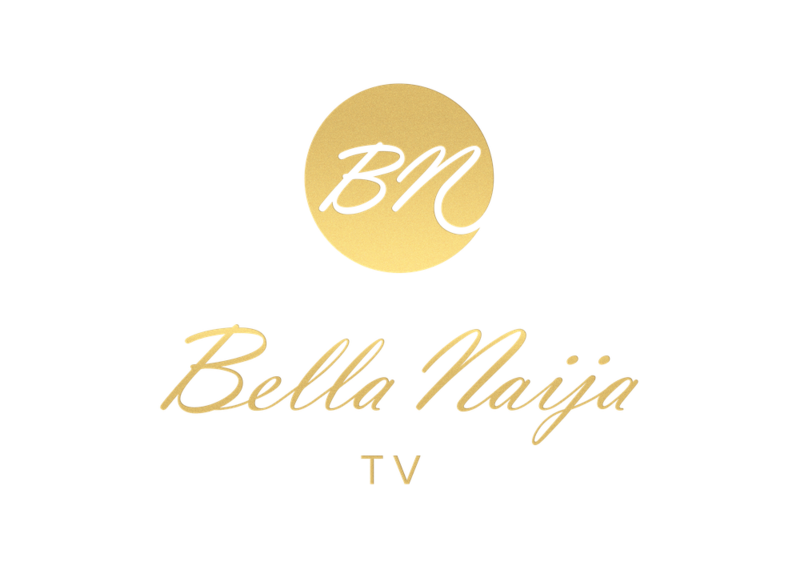 That negative vibe will soon vibrate you off bella naija. You will vibrate so much that your hands wont be able to type again. Just like many people didn’t see Kim and kanye staying together beyond a year. Who are you to determine if a marriage will last or not or even speak about it publicly. Let the married people stay married in peace and if it ends in divorce so be it. No one goes into a marriage hoping or believing that it will fail. OPEN LETTER TO TOKE MAKINWA, WHOM I ADMIRE. How are you? Please you are an interesting vlogger. In my opinion, I think you should leave the Americans alone. Talk and speak on Nigerian lives and relationships. Nigerians are quite interesting as well. Their vloggers, that is, the Americans, if they have one. They do not talk and speak on Nigerian lives and relationships. That’s all I can say, sha. Take care and keep on keeping on.